format: Limited Edition Grey Vinyl 7"
'VVITCH' is fucked up. The vocals are on the minimal side, and what you can hear you wouldn't want to understand. 'Black Skull' the first song sounds like Devo being sprayed out of an industrial tree shredder. Next up 'Lamenting A Maiden' is a funeral march in the most fucked up way. Imagine if Olivier Messian jammed with the Melvins. 'East Coast West Coast' opens up side B and again we're back to the tree shredder. This time Napalm Death are being stuffed through it. Last up the title track 'VVITCH' spews forth. This is sludge, REAL sludge!. It's thick and unholy. The vocals descend over the track eventually like a black mist as a Corrupted style repetitive riff rolls out to the end. Back in grey! 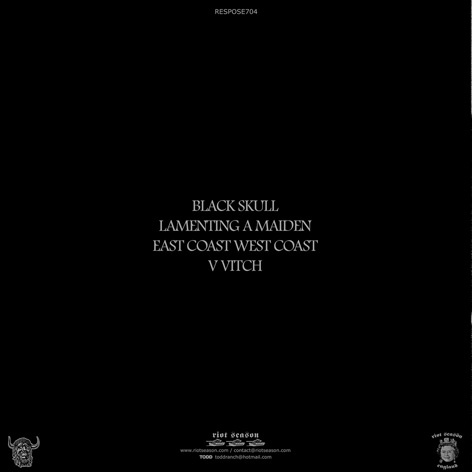 Printed on ashen grey vinyl, this highly limited edition 7" is textbook Southern stuff (although not actually on Southern...) with the petulant squall of 'Black Skull' and 'Lamenting A Maiden' a further adjunct to the sound they established on 'Purity Pledge'. A dark hearted variety of dronecore, you're likely to need a good walk in the sun after listening to 'VVITCH'. 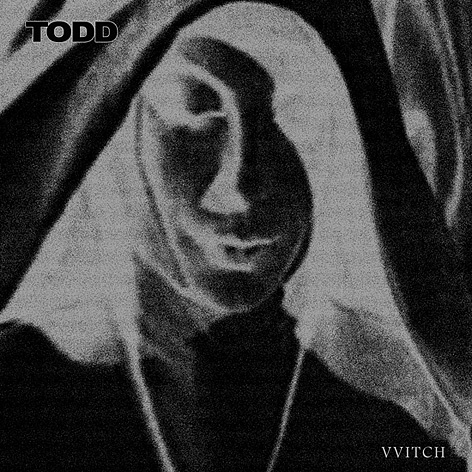 Easily the best Todd record i've heard to date. An absolutely ferocious, formidably heavy (presumably limited) four-track 7" that sounds not unlike Merzbow, Noxagt, Earth and V/vm having a rather bloody fight to the death. Thoroughly hellish, thoroughly enjoyable. Props. 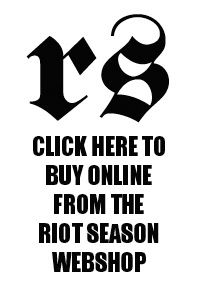 TO BUY ANY AVAILABLE RIOT SEASON RELEASE DIRECT FROM THE LABEL, PLEASE VISIT OUR WEBSHOP BY CLICKING THE IMAGE ABOVE.